Data Pilots takes the classic “secret level” lore from video games – finding the secret level grants the player an elite, secret status – and uses it to transport the hero, Tom Howard, into a world where his brain is seamlessly integrated into an exclusive development playground. Neuralverse is an open-source database environment set aside for a few privileged thinkers where literally anything they can think of is rendered in immersive virtual reality. Tom is something of a prodigy. He’s able to master Neuralverse controls almost immediately, makes a basic UI change and is rewarded with praise from the best data pilots in the system. He also discovers the darker side, full of hackers and profiteers. What he does with his power can either secure or topple this virtual world, and he doesn’t know who to trust. A lot of this story hearkens back to the early days of the cyberpunk genre, like the integration of computing with the human brain, visualizing computerized data as an immersive experience, even holodecks. The author uses a lot of ideas from the past and blends them all together to build this world. I enjoyed the way that music takes an important role in the story, but can’t say too much – you’ll have to read it to find out. There’s also a neat time dilation in the Neuralverse. Since everything happens at the speed of thought, four hours spent on one project inside is more like four minutes in the real world. Tom comes across as almost too talented, even for a teen prodigy. Everything is easy for him, and he masters complex skills in a very short time. Most (but not all) obstacles provide more than a moment’s annoyance. His skill earns him great praise from the other data pilots in the system. However, Tom does have humanizing flaws that he must overcome. He has a selective memory and does things like ignoring EULA notices as well as disregarding advice to keep his overworked brain from exhaustion. My biggest problem with the book is that the author kills any suspense or tension built up during a scene by disclosing the bad guys’ identity and intent. The book is full of, “unbeknownst to Tom…” and “Little did he know…” moments that telegraph a critical plot twist long before it happens. The book needs some editing tweaks. The most common problem is putting dialogue from two or more speakers on the same line, without a paragraph break. In some scenes, it’s difficult to tell exactly who is speaking since it all runs together. 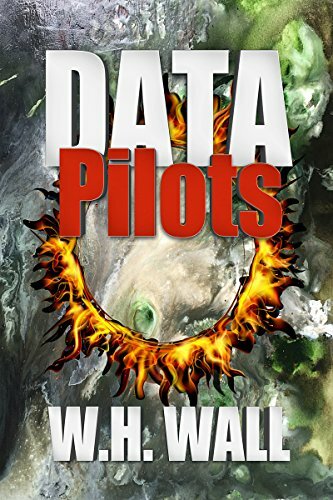 Data Pilots is a fast-paced novel for younger readers, immersing them into a race-against-time climax to unlock memories and data in order to protect a unique, collaborative environment from destruction. I’d suggest this for ages 12-18 because I think teen readers will find a lot to like here, especially if they are also interested in programming and designing virtual worlds. 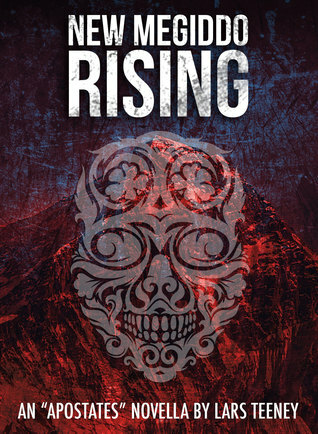 New Megiddo Rising is a prequel novella to The Apostates series. The prologue sets the stage in 19th-century Mexico. The Governor of Coahuila y Tejas visits a settlement headed by a polygamous preacher named Brigham Wainwright. The preacher lies to the governor, assuring him that he will contact the American government and discourage the flow of illegal white settlers to Mexican territory. He then reveals to his captain that his plan is to do exactly the opposite with the aim of overthrowing the Mexican government. The story then shifts to an undetermined time in the future, where people have neural implants and live in a dystopian America shattered by war and climate change. 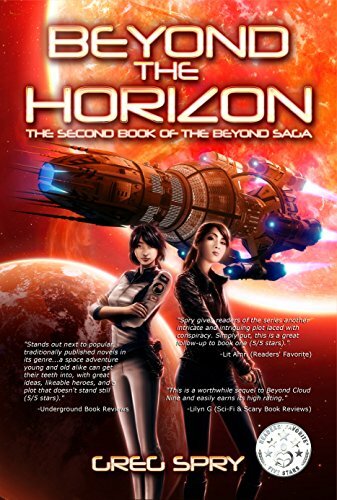 The main characters are: Ayane Inoguchi, who lives in a church-run orphanage; Prescott, a Prelate of the church of New Megiddo; Kate Schrubb, daughter of the President, who is next in line to inherit the office; Inquisitor Rodrigo of the Law of Virtue Enforcement (LOVE); and Evan, an “apostate” teen living in the slums of Los Angeles. Each character has their own story to tell, but there is no overall plot tie all these stories together. Instead, the narrative follows six characters through their lives, and telling us how much they’ve changed (or not changed) by the end of their story. Each person is different, but all are controlled by the Church of New Megiddo. The church controls everything and has no regard for quality of life or personal freedom. Anyone the church doesn’t like is called an “apostate” even high-ranking individuals who become inconvenient. There’s also a drug called database that causes hallucinations and addiction. The author does a great job of describing how absolute power corrupts absolutely. The Church of Megiddo and the Schrubb regime display every classic symptom of corrupt leadership: assassinations to remove dissent, laws that don’t apply to the elite, Orwellian doublespeak and mind control, just to name a few. It’s a setup that can only result in rebellion and civil war, and this worldbuilding is the best part of the book. Evan is the most sympathetic character, and it’s hard not to like him. He’s young and living in the slums, but when he is rescued by a martial arts teacher, his skills ultimately get him off the street and into the ranks of the enforcers of church law. New Megiddo Rising is a collection of origin stories of important characters in the novels, which explains why none of the stories overlap: none of the characters have met yet. This makes it a great piece of bonus material for fans of The Apostates series. Readers who are already familiar with their favorite characters can fill in the gaps in their stories with what they know from the novels. Unfortunately, despite the good world-building and setup of this evil empire, there are too many gaps in the character backstories to make it a cohesive novella for new readers. The Monster learns a new word, pastiche, and talks cyberpunk inspiration with Gary Ballard author of, Under the Amoral Bridge. Under the Amoral bridge is a cyberpunk novel set in the future. 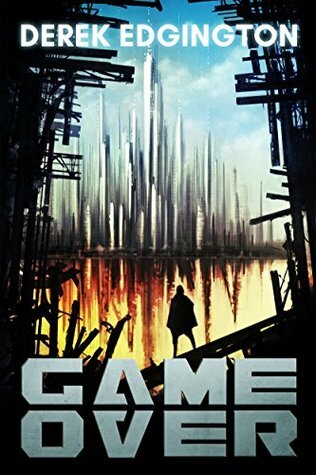 What draws you to the cyberpunk genre? Bridge is a humorous character whose intelligence is exhibited through his dialogue. What was your inspiration for his character and did you pull anything from personal experience? The book focuses on political corruption. Were you influenced by today’s political climate or was there a different source of inspiration? I could swear that there was some World of Warcraft references in your book. Do you spend any time playing video games? Or was I just imagining the references?